Ridiculous Beats, GoodGawd, Big K.R.I.T., Logic, Big Sean, Fetty Wap, DJ YRS Jerzy & Royce Rizzy, NephLon Don Ft. D.Boy G and more. 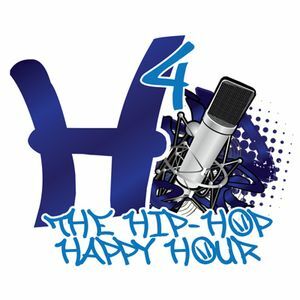 The Hip-Hop Happy Hour (H4) airs every Wednesday at 6pm CST on LawrenceHits.com. Download TuneIn Radio for iPhone or Android and follow Lawrence Hits to listen live each week, or listen directly from your computer live or anytime!